Free yourself from metered fare and enjoy worry-free transport with our fixed fares. Free yourself from worry. 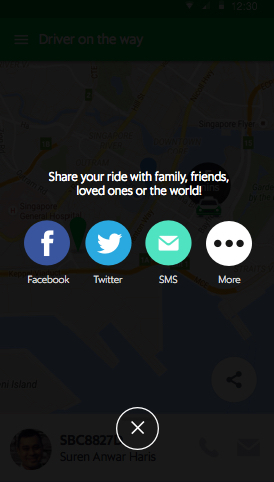 Share your ride details with your friends and get to your destination safely. Free yourself from the hassles of driving through traffic and finding parking space. Free yourself from wasting time looking for parking. We’ll take you where you need to go. Pick between a GrabCar (Sedan) or a GrabCar+ (Premium vehicles) to take you to your destination. 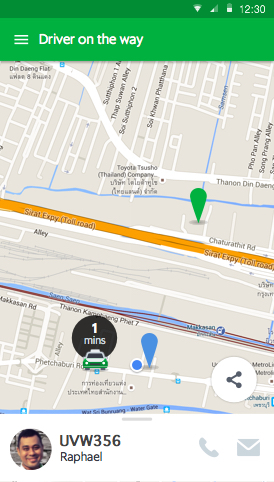 Book our most affordable GrabCar, sit back and relax and let us take you where you need to go. Take your trip up a notch with GrabCar+, premium sedans. GrabCar is a car-booking app that revolutionizes the way you move by sending a private vehicle along your way at the tap of a button! A brainchild of Grab, Southeast Asia’s leading transportation technology app, GrabCar is your new favorite ride in the metro. We take you where you want to go in chauffeur-style service. With GrabCar, you don’t just book a ride– you book an experience. In accordance to the Department Order No. 2015-011, Transport Network Vehicles are Sedans, AUVs, SUVs, or other similar vehicles that are not more than 3 years old from date of manufacture upon registration with a TNC. 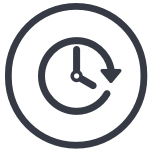 Vehicles may, however, operate for up to 7 years from date of manufacture. Sedans and Compact vehicles fall under GrabCar, while Executive Sedans and AUVs and SUVs fall under GrabCar+. We do not accept pick-ups and vans. What are the GrabCar fares? 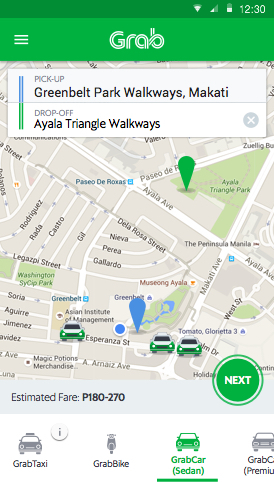 Simply input your pick up and drop off location, and the app automatically computes the fares at the fairest rate! Note that the fare is fixed– regardless of route and trip duration! What are Rush Hour Rates? The Rush Hour Rate is a temporary increase in GrabCar fares to make sure we can accommodate all GrabCar riders. For example, on rush hours, our rates may go up to 1.5 or twice the standard rate. 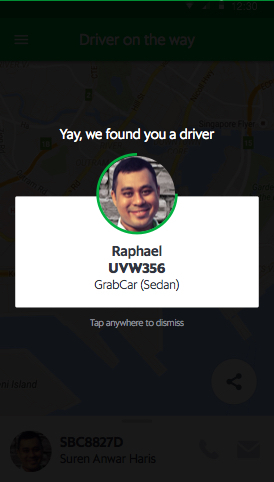 Do I have to download another app for GrabCar? What are the vehicle models?